A body was found on the property in Costa Rica where the missing woman from Miami was staying. NBC 6's Nathalia Ortiz reports. A body has been found on the property in Costa Rica where a missing South Florida woman had been staying during a birthday trip to the Central American country, authorities said Monday. Officials with Costa Rica's Judicial Investigation Department said the body was discovered behind the Airbnb property where Carla Stefaniak had been staying in the the San Jose neighborhood of San Antonio de Escazu. Walter Espinoza, a spokesman for the agency, said during a press conference Monday that canine search dogs found the decomposing body half-buried and covered with plastic bags in a wooded area. Espinoza said officials haven't confirmed the identity of the remains but noted it was of a woman. Autopsy results are expect to be released Tuesday, officials said. Espinoza also said authorities found stains in Stefaniak's Airbnb, Villa Buena Vista, that were "compatible with blood," though further testing was being conducted. Stefaniak has been missing for more than a week after traveling to Costa Rica with her sister-in-law April Antonieta. Her sister-in-law returned to the United States last Tuesday, a day before the 36-year-old was expected to board a flight back to the U.S. Her family said they last heard from her around 8 p.m. on Nov. 27. She didn't show up for her 1 p.m. flight home on Nov. 28. Stefaniak’s brother, Mario Caicedo, drove from Orlando to Miami to speak with FBI agents on the case while other family members have flown to Costa Rica to help in the search. 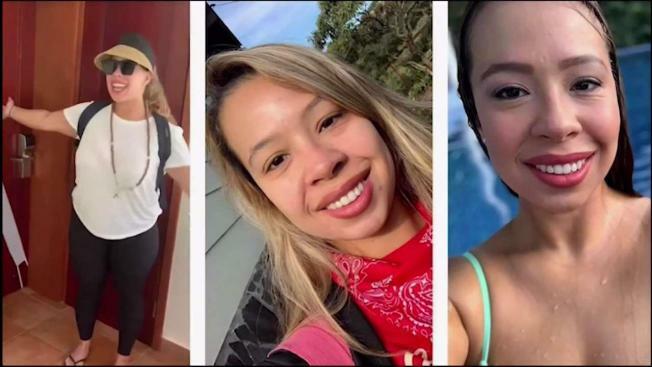 Mario Caicedo told NBC 6 sister station Telemundo 51 that investigators in Costa Rica believe Stefaniak was kidnapped because she checked in for her flight but never boarded. FBI officials have not confirmed that information. On Monday, Stefaniak's father, Carlos Caicedo, told reporters outside a Florida U.S. Immigration and Customs Enforcement office that he also believed Stefaniak had been kidnapped. "I am convinced that she is kidnapped," he said. "I'm sure that they must have already been made contact to ask for ransom or some thing of that type." Caicedo petitioned the agency to allow him to travel to Costa Rica because of his immigration status, according to Telemundo 51. ICE authorized his request, the station reported. The status of Caicedo's immigration standing was not immediately clear. Stefaniak, who last posted on her social media page Monday, was staying in San Jose at the time, at the Airbnb Villa Buena Vista.